Extra Bada bazar offers plethora of small shops, big showrooms, and exhibitions that display the unbelievable variety of rich Rajasthani items. Brightly coloured traditional clothes are available at every step you take. Closed on Sundays. Market Famous For Batik and Bandhani print sarees and textiles , handmade juttis from Mochiwada Bazaar . People Love For Place Jewelry, both in silver and camel bone, is a novelty at this shopping district in Udaipur. Rush Hours From 2pm onwards. Address 1.8 km from City Palace. Extra Bapu Bazar is a market in Udaipur to purchase clothing, crockery, gadgets, shoes, school uniforms, and khadi products. The market remains closed on Sunday. 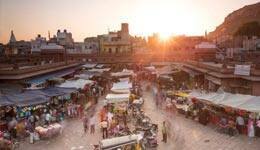 Market Famous For Handicrafts and Rajasthani souvenirs. The market is also famous for its variety of street food specialties, especially the mouthwatering gol gappas. People Love For Place One can buy authentic Rajasthani products and have a lovely time. Rush Hours Throughout the day. Extra Chetak Circle is a buzzing market place where you can find a great assortment of handicrafts, brass wares, salutation cards, valuable stones, traditional jewellery boxes that are superbly painted, and hand stitched papers . This makes this market popular for street shopping in Udaipur. Market Famous For Dancing puppets, wall decorations, pens, pen stands, traditional lanterns, handmade papers, and painted wooden boxes to exquisite pottery, everything is available here. People Love For Place A variety of products made in Udaipur. Popular Thingsto Buy Famous for street shopping in Udaipur. Average Time To Spend From 2-4 hours. Extra It is one of typical winding alleys where all kinds of exotic things can be bought, including gold and silver items. Copper goods churned out by master coppersmiths are particularly good. The craftsmanship of lac jewelry makers is truly remarkable. It is nice to shop here at night when the clock is lit up. The market remains closed on Sundays. Market Famous For Polki, Lac, Kundan, and Meenakari jewelry design of Rajasthan. Even gold and silver jewelry with meenakari and kundan work is very popular. Beautifully crafted copperware is another item for which clock tower is widely known. People Love For Place It is a place to buy beautiful jewellery of different kinds. Extra Hathi Pol is an important market in Udaipur where you can find a huge variety of handicrafts and folk arts of Rajasthan. It is frequented by locals and is hence fairly priced. 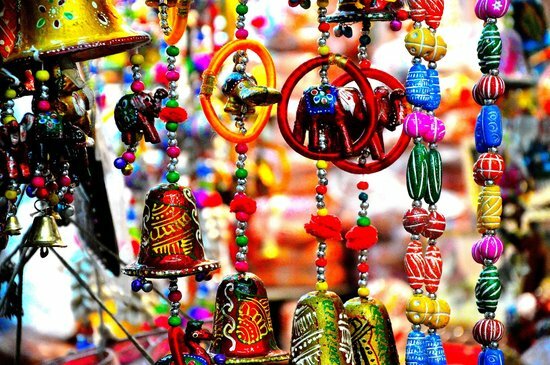 If you are a fan of true Rajasthani art, this market is the place for you to shop in Udaipur. This market is closed on Sundays. Market Famous For The Rajasthani miniature paintings, Pichwai and Phad paintings are must-buys. Authentic souvenirs, wooden handicrafts, and colourful ‘Nagra’ slippers made from camel skin with beautiful embroidery are highly recommended. Opening Hours 9.30 am to 5.30 pm. People Love For Place A very moderately priced market. Popular Thingsto Buy Embroidery shops and authentic Rajasthani accessories shop. Address Jagdish Temple Street is very centrally located, right in the middle of the city. Average Time To Spend From 2-3 hours. 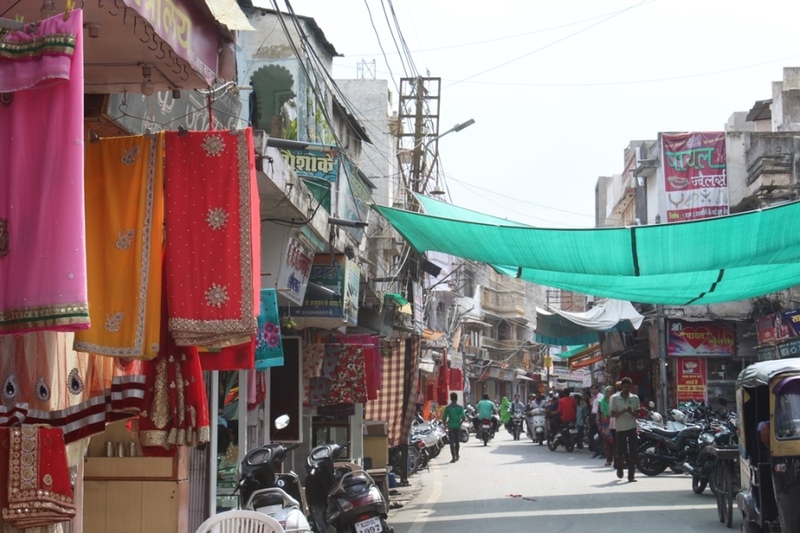 Extra Jagdish Temple Street is a very busy marketplace where you can shop for items like traditional wooden toys, vivacious puppets, multi-hued tapestry, bright colored cloth lanterns, painted wooden objects and handmade postcards. The market remains closed on Sundays. Market Famous For Camel leather journals and diaries. Apart from traditional wooden toys, the street is full of vivacious puppets. You can also shop for good terracotta and metal curios. People Love For Place A good place to buy authentic handmade products. Extra Lake Palace Road is very well known for embroidered textiles and wooden statues. There are a number of souvenir shops which line the street on both sides. The market remains closed on Sundays. Market Famous For Textiles, including embroidered and woven items. It is also good for wooden and brass statues of Hindu deities. People Love For Place You can find about anything from precious gems, kundans to silver trinkets, and tie ‘n’ dye to woven items. It is undoubtedly one of the best places for shopping in Udaipur. Extra Rajasthali is a government emporium which offers a wide range of handicrafts items. Here, you will find a large variety of Rajasthani crafts made up of brass, terracotta, precious & semi- precious stones, mirrors, marbles, and many other artistic things. Market Famous For Textile, furniture, blue pottery, terracotta pottery, paintings, silver and lac jeweller. People Love For Place A wide range of authentic Rajasthani products are sold here. 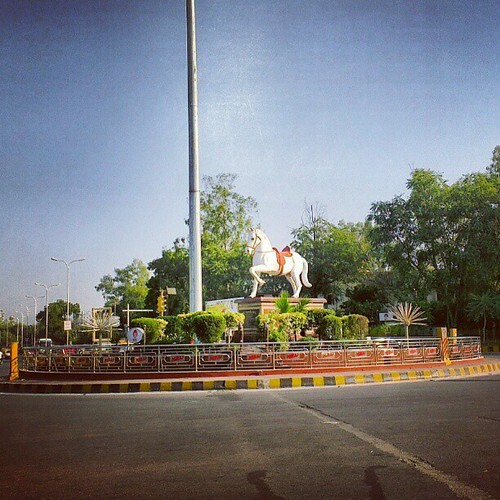 Address north-west Udaipur, near the police station of Fatehpura Circle. It is around 7 km from the Udaipur Railway Station. 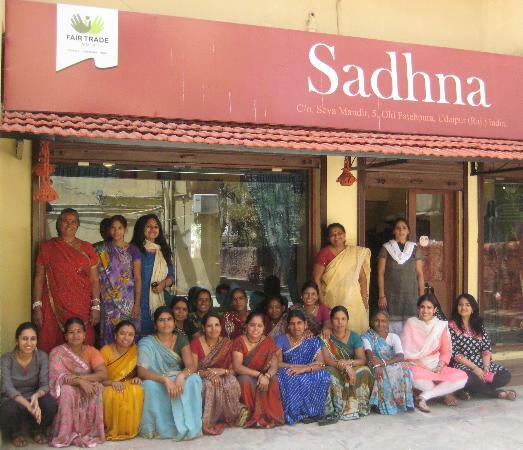 Extra Sadhna Emporium was conceived in 1988 to provide alternative income to women in Udaipur’s rural, tribal and urban slum belts. It is the crafts outlet for Seva Mandir, an NGO working with rural and tribal people in Rajasthan. It is closed on Sundays. Market Famous For Bed sheets, cushion covers, table mats & coasters, table covers, bags, dairies, dupattas, kurtas, sarees, and jackets. People Love For Place A very reasonably priced market with quality products. Address 3 kms west from Udaipur, near the Havala village. 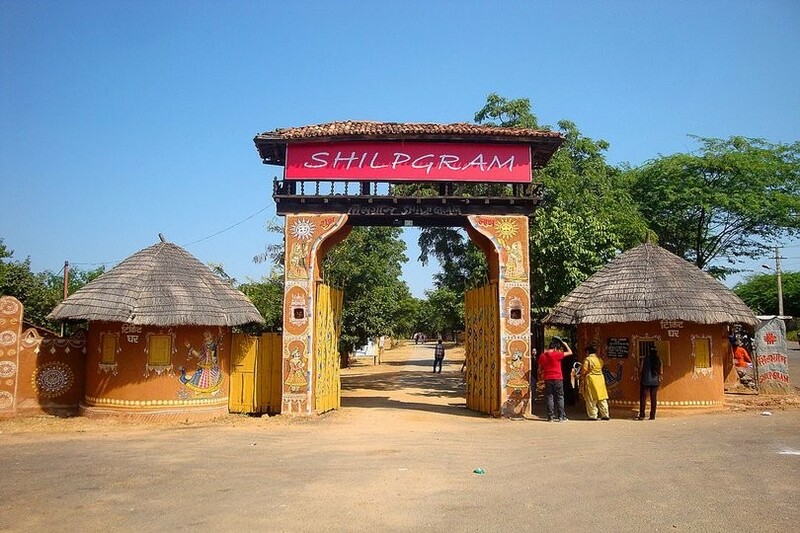 Extra Shilpgram is a heritage crafts village that is located about 3 km west of Fateh Sagar in Udaipur. Spread over a large area of 70 acres, the village displays an array of traditional mud huts and wood-houses, enhanced with straw and sticks. This crafts village remains closed on Sundays. Market Famous For It is a fair, ideal for trying out the handicrafts in the form of clothes and accessories of Rajasthan. People Love For Place It is a shopping heaven in Udaipur, the main attraction of this place is the way it is constructed. It gives you a glimpse into the lifestyle of the rural Rajasthanis.